Heavy lies the crown. I just got a nice bull’s eye painted on my chest. UFC 218 대회의 화려한 대진을 살펴보자. 맥스 할로웨이 vs. 프랭키 에드가 등 다양한 대결이 12월 2일 디트로이트에서 펼쳐진다. TRAINING: Training is typically 2 to 3 times a day, consisting of striking, wrestling, BJJ, and strength and conditioning. When and why did you start training for fighting? After I graduated from college in May of 2005. I always liked the sport. I have seen other people with a wrestling background do well, and I felt that I could succeed. Accomplishments in amateur competition? Two-time State Place Winner for New Jersey, 2nd in H.S. Nationals in 2000, four-time Division I National Qualifier for Clarion University and College Freestyle All-American in 2004. Do you have any heroes? My dad and my high school wrestling coach, Mr. Reid. These two are the toughest people that I know, both mentally and physically. What does it mean for you to fight in the UFC? It is great, considering that I only started fighting a year and a half ago, and there wasn't even a 155 weight class in the UFC at the time. 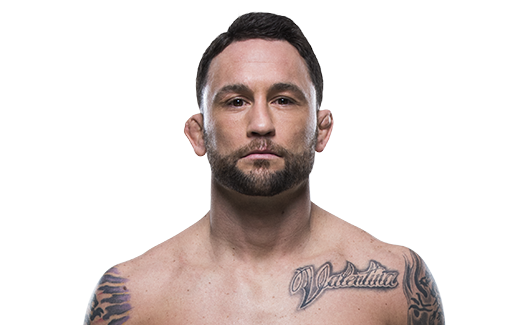 - Partially due to being undersized (he could fight at featherweight if he chose) and because he’s not yet a top-flight finisher, Edgar has been an underdog in many of his fights. 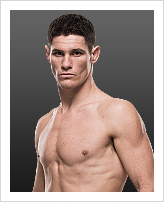 Most notably, he was an underdog against Tyson Griffin, former UFC champ Sean Sherk, and both fights against the legendary B.J. Penn. Fittingly, as Edgar prepares to battle the much-larger Gray Maynard – considered a superior wrestler – the New Jerseyian is once again the underdog, but says he feels comfortable in the role. - Raised in Toms River, N.J., Edgar was honored earlier this year by the township’s mayor and councilmembers with a public proclamation recognizing his UFC title, MMA and wrestling accomplishments. - Has a wife, Renee, and two young boys.